The feet in this drawing are expressive–the kind of expression more normally seen in hands. They reveal the articulation of hard work; they are the feet of Trisha Brown, a revolutionary choreographer. 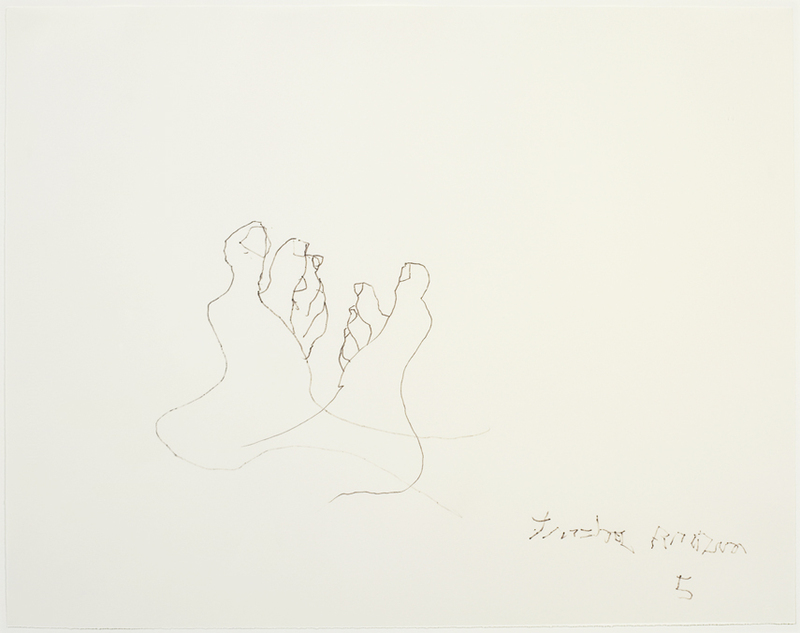 When asked to write about this drawing, I was told that it was made with the artist’s foot. Perhaps the halting signature serves as a clue. This tight concept seems to apply to these works on paper as well. This entry was posted in Dove Bradshaw, Trisha Brown. Bookmark the permalink. Post a comment or leave a trackback: Trackback URL.